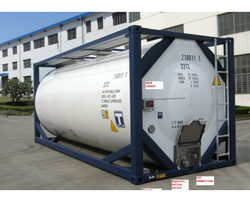 We are offering Cryogenic Pallet Tanks to our clients. We provide high-quality products to our clients. Backed by rich industry experience and market understanding, we are involved in offering a wide array of Liquid Storage Tank to our valued patrons. We are dedicatedly involved in providing an excellent quality array of Industrial Horizontal Storage Tank, for catering the various needs of our clients. In order to cater the variegated demands of our clients, we are offering an excellent quality range of Industrial Sewage Treatment Plant. Monesh Chemo Engineering Pvt. Ltd.
We manufacture and supply different type of central and lateral agitators for the use in digesters for mixing of effluent in the digester. These mixers are designed and manufactured as per the client specifications. Our domain expertise enables us to offer Storage Tanks and Handling Equipment that is in tune with the global standards. Constructed using Mild Steel & Stainless Steel which are used in Petrochemicals, Pharma etc. plants for material storage. 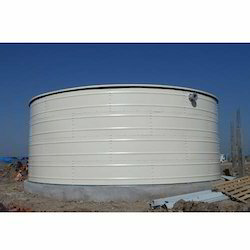 We fabricate Storage Tanks as per client requirement. In order to cater the variegated demands of our precious clients, we are manufacturing and supplying a wide range of Industrial Storage Tanks.